In the unfortunate case of a collision, contact our Collision Repair team at Southgate Volkswagen and let us help you! An accident, no matter how minor, can be a very stressful and confusing experience for everyone involved. There’s no need to worry when you leave your vehicle with us. Our department uses the latest tools and repair techniques authorized and approved by Volkswagen. Visit our Collision Repair Centre here at Southgate Volkswagen to get back up to speed. We are the only Volkswagen and Audi Certified Repair Shop in Edmonton! We repair all vehicle makes and models so bring yours in! Enjoy a lifetime warranty on all repairs, meaning we want to fix your vehicle right the first time. Our Audi Certified Repair Shop is an authorized collision repair centre by most insurance companies, so feel free to contact service to obtain more information on your collision repair. 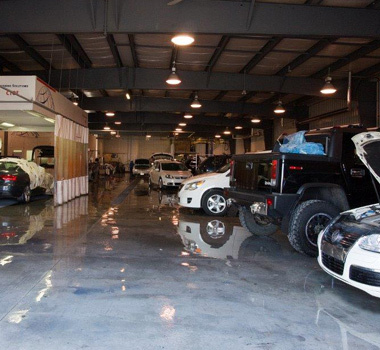 Our red seal certified technicians are here to support you throughout the repair process at our state of the art facility in Edmonton. Take the time to fill out our Southgate Collision Repair Centre Accident Report Form to get things started. This report was designed to help you note important details related to the accident. 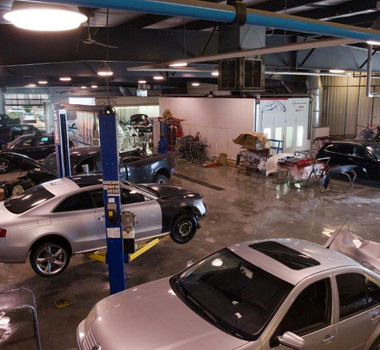 At Southgate Collision Repair Centre in Edmonton, you can rest assured knowing that your beloved Volkswagen or Audi vehicle will receive the best in quality repair. We are the experts!